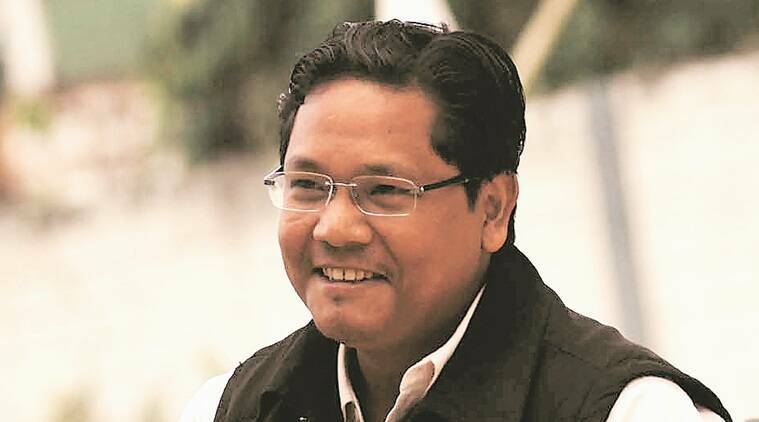 “In the spirit of the coalition we have decided that we will not be contesting for the inner parliamentary constituency seat and instead work together with the coalition partners”, said Conrad Sangma, Chief Minister of Meghalaya, who is also the president of the party. A day after BJP released its first list of candidates for the forthcoming Lok Sabha elections, the National People’s Party (NPP), one of the allies of the ruling party-led Manipur government, on Friday announced that it will not contest for the inner parliamentary constituency seat in Manipur. Manipur, which holds two Lok Sabha seats, will go to polls in two phases. The first phase of the election for the outer parliamentary constituency seat will happen on April 11 whereas the second phase for the inner parliamentary constituency is scheduled for April 18. “In the spirit of the coalition, we have decided that we will not be contesting for the inner parliamentary constituency seat and instead work together with the coalition partners,” said NPP President and Meghalaya Chief Minister Conrad Sangma. Addressing a media conference today in Imphal, Sangma however, said that NPP will fight for the outer parliamentary seat like any other party. The party has named its Manipur unit President Thangminlen Kipgen as the candidate to contest for the outer parliamentary seat. NPP is one of the major coalition partners of the BJP government in Manipur apart from the Naga People’s Front (NPF). Taking a similar stand, the NPF has so far fielded a candidate for the outer parliamentary seat. The BJP formed the government in Manipur with support from four MLAs, each of NPF and NPP, an independent MLA from Jiribam, an MLA from TMC and another from LJP. The NPP chief further informed that his party is likely to announce two more candidates from Assam in the second list, in addition to the six candidates it had announced earlier. In Arunachal Pradesh, he said, the party will be contesting in the Arunachal West seat in the Lok Sabha polls as well as in assembly constituencies, approximately 30 to 35 seats which would be finalized in few days. In Meghalaya, the party will contest in the Tura Lok Sabha constituency and support its allies UDP in Shillong seats, added Sangma. “We aspire to ensure that NPP comes out with as many seats as possible so that we can play a more effective and important role when it comes to issues particularly concerning the state of Manipur as well as Northeast as a whole”, said Sangma. He appealed to the people of Manipur and other Northeastern states to support NPP candidates so that the party can stand up for the cause of the people and take up issues in a strong manner. Earlier, NPP had announced to contest in 25 seats in northeastern states with the hope to secure over 10 seats.